WOUB-TV’s 2018 Membership Drive Programming: Pledge Your Support Today! WOUB-TV’s annual Thanksgiving time pledge will kick off on Turkey Day itself, Thursday, November 22. This year, WOUB has a number of fascinating documentaries on beloved pop culture figures, breathtaking recordings of iconic live musical performances, oodles of health and wellness programming and lots more, making for a truly appeasing Thanksgiving time programming spread. Check out my guide to some of the highlights in programming below, separated into various topics. Check this link anytime for updated information on WOUB programming. A marathon of WOUB’s Our Town — Sunday, December 2 starting at 3 p.m.
Each year the award-winning filmmakers, audio engineers, and journalists who call WOUB home band together to craft an installment of Our Town, a series that focuses hour-long documentaries on specific portions of WOUB’s listening area. Each documentary dives deep into each town’s history and importance to the region. This marathon will feature documentaries on Lancaster, Jackson, Pomeroy, Nelsonville, and Athens. Fleetwood Mac: the Dance — Tuesday, December 4 at 11:00 p.m.
Tom Petty and the Heartbreakers — From Gainesville — Wednesday, December 5 at 10 p.m. Some 12 years ago, Tom Petty and the Heartbreakers descended on Gainesville, FL to commemorate the band’s 30th anniversary with a concert highlighting some of the band’s greatest hits. A portion of the performance even features a cameo from Stevie Nicks! Gainesville is not only hometown to Petty himself, but to his bandmates Mike Campbell and Benmont Tench. Carpenters: Close to You — Friday, December 7 at 8:30 p.m.
Carpenters: Close to You is a documentary that examines the unique sound of brother-sister musical duo Richard and Karen Carpenter, and the tragic death of Karen Carpenter following her struggles with anorexia nervosa long before the illness was widely discussed. Those who comment include Herb Alpert, Burt Bacharach, Petula Clark, Les Paul, Paul Williams and more. Donny Osmond: One Night Only! — Thursday, December 6 at 11:30 p.m.
Last year the legendary Donny Osmond played a number of entirely sold out arena throughout the U.K. This program documents the final performance of that tour in HD, which took place in the Birmingham National Exhibition Center. Osmond performs a number of his beloved classics from all over his genre-spanning career. Last of the Breed — Thursday, December 6 at 8 p.m. 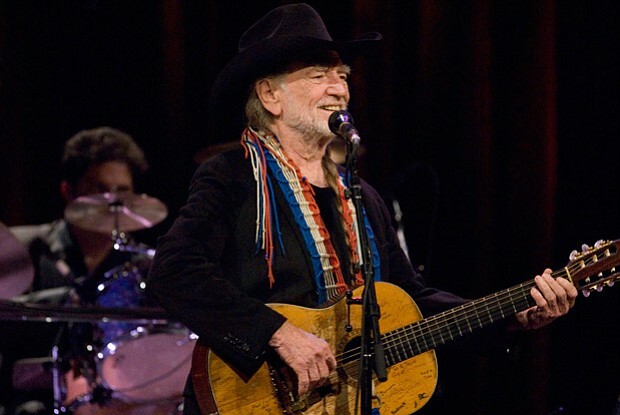 In March of 2007, American musical superstars Willie Nelson, Merle Haggard and Ray Price united for this massively popular program, which features a number of each of the hitmakers greatest works. Peter, Paul and Mary at Newport 1963-65 — Friday, November 30 at 10 p.m. Although Peter, Paul and Mary may come off as kind of lilywhite in 2018, during the turbulent ’60s, their folk songs inspired by revolutionaries such as Woody Gutherie and many others were anything but. This program features never-before-seen performances by the iconic trio and highlights why these songs were such an important part of the activist counterculture of the ’60s. Roy Orbison: Black & White Night 30 — Friday, November 30 at 8:30 p.m. This program highlights the 30th anniversary of Roy Orbison’s iconic Black and White Night concert, which took place in January 1988. The concert boasts an all-star musical cast, including Elvis Costello, Jackson Browne, Bruce Springsteen, k.d. lang, Tom Waits, and more. 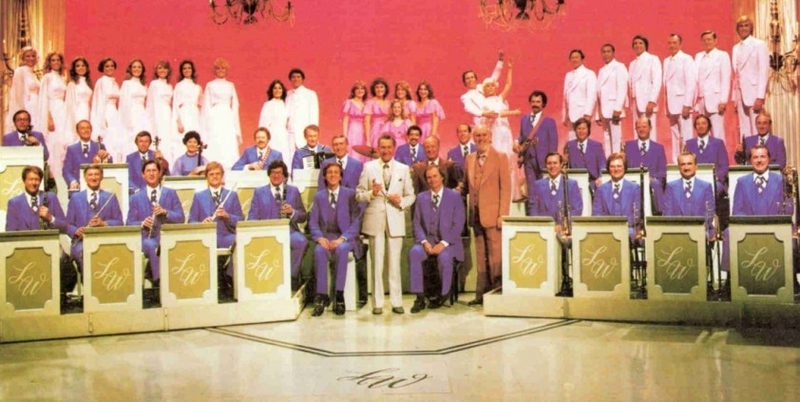 Welk Stars: Through the Years — Saturday, December 1 at 7 p.m. This program, hosted by Mary Lou Metzger, highlights the work of 18 Welk entertainers, utilizing a wealth of vintage photos and clips from past PBS specials. Ed Sullivan’s Rock and Roll Classics — The 60s (My Music) — Saturday, December 1 at 9 p.m. Some of the most iconic live musical performances of the ’60s took place on Ed Sullivan’s show, and this program has compiled some of the most compelling of those performances, including those by The Beatles, The Doors, Herman’s Hermits, The Beach Boys, and more. Get Down Tonight — The Disco Explosion (My Music) — Saturday, December 1 at 11 p.m. This special is hosted by KC and the Sunshine Band, Karen Lynn-Gorney of Saturday Night Fever fame, and Dance Fever’s Denny Terrio and it actually takes place on a lighted dance floor! A number of disco greats including Tavares, The Trammps, Yvonne Elliman and more bring fierce, nostalgia inducing performances to this special. Neil Diamond: Hot August Nights III — Tuesday, December 4 at 8 p.m. In 1972 Neil Diamond famously recorded the multi-platinum selling Hot August Night collection at the Greek Theatre in Los Angeles, and the American hitmaker returned to the venue in August 2012 to replicate those performances, an endeavor that is chronicled by this special. Mannheim Steamroller 30/40 Live — Friday, December 7 at 10:30 p.m. This feature celebrates 30 years of the neoclassical rock group’s holiday performances, and 40 years of the group’s “Fresh Aire” compositions. The outfit is known primarily for it’s signature blend of classic rock, new age music, and fresh takes on holiday classics. Sarah Brightman: Hymn — Monday, December 3 at 8 p.m. This special is staged in Ludwigs Festspielhaus in Germany, where Sarah Brightman performs tunes from her long and winding career as well as selections from her latest album, HYMN. The performance includes Brightman’s own band, a 40-person orchestra and 50-voice choir, many dancers and artists such as Japanese superstar Yoshiki, Vincent Niclo, Mario Frangoulis and Narcis. Christmas with Daniel O’Donnell — Saturday, December 1 at 4:30 p.m.
A number of seasonal classics are performed by Irish singer Daniel O’Donnell and a number of special guests in this program, which was filmed in Dublin. Modern health expert Miranda Esmond-White encourages viewers to throw away a defeatist attitude towards aging, and instead work towards continually improving their health as they age. Ric Edelman’s Mind Over Money — Tuesday, December 4 at 9:30 p.m.
Professional financial advisor gives viewers advice on separating their emotions from their finances when trying to save and spend in this special. Feel Better Fast and Make It Last with Daniel Amen — Monday, December 3 at 9:30 p.m.
Dr. Daniel Amen knows that most Americans struggle with sometimes crippling anxiety, and in this special he offers seven simple, cerebrally based strategies proven to improve mood and lessen the modern woe that is anxiety and depression. Retire Safe and Secure with Ed Slott — Saturday, December 1 at 5:30 p.m.
Financial expert Ed Slott gives viewers sage advice on retiring wisely, even with the new tax code. Rick Steves Special: European Christmas — Thursday, December 6 at 9:30 p.m.
Seasoned travel guide takes viewers through Christmas traditions in Switzerland, France, England, and other places in Europe in this holiday special. Nature “Snow Bears” — Wednesday, December 5 at 9:30 a.m.
Actress Kate Winslett narrates this documentary, which documents the harrowing journey of two newborn polar bear cubs as they leave their den for the very first time. Ken Burns: The Civil War — Wednesday, December 5 at 8 p.m.
Mark the 25th anniversary of the groundbreaking Ken Burn’s series on the Civil War with this special, which features an in-depth look at the creation of it.